Another day, another jaw-dropping news story about the largest soccer federation in the world, FIFA. On Wednesday, FIFA confirmed that the organization had taken bribes for past World Cups and now sees themselves as victims of corrupt executives and officials like former president, Sepp Blatter. FIFA has filed a 22-page claim with the United States Attorney’s Office in New York asking for prosecutors to give them “tens of millions of dollars” that was seized from the former officials who have admitted accepting the bribes. According to multiple media reports, FIFA seeks their share (which happens to be a rather large share) of restitution from the more than $190 million that was seized by the U.S. after arresting soccer officials who plead guilty to the corruption case. FIFA claims that they are not to blame for the corruption, but rather the victims of bad apples within the organization. Naysayers believe that the organization itself embedded a culture of bribe-taking and corruption, which started at the head with former presidents Joao Havelane and Blatter. The move comes on the heels of the announcement that Swiss officials have enlisted the help of French authorities in order to help them with their criminal investigation against former President Sepp Blatter. Swiss authorities found a payment made by Blatter to Michael Platini, head of European Soccer’s governing body for $2 million that many believe is suspicious and a misappropriation of FIFA funds. More than the money, FIFA’s claim to get the money back is an important first step in a public relations push to make them appear as victims in the eyes of prosecutors, the public, and it’s soccer players throughout the world. FIFA is distancing themselves from the disgraced leaders that used to run their governing body, and hope that by trying to return the funds taken by those men, they can restore peace and trust in FIFA once again. 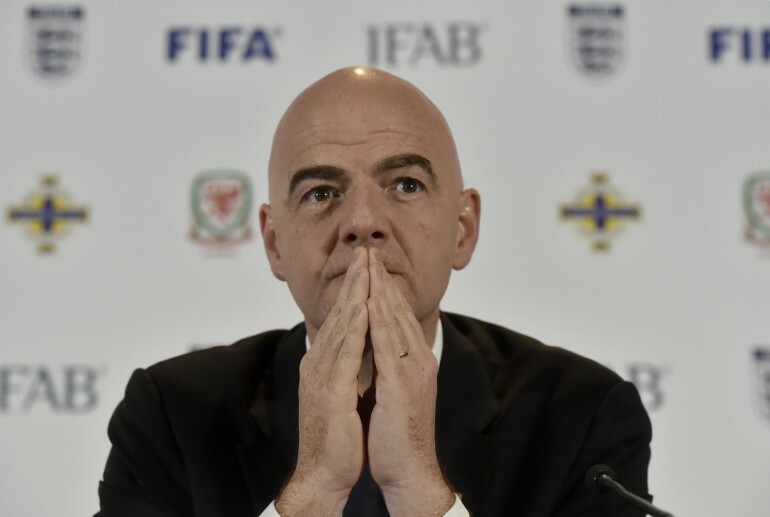 “These dollars were meant to build football field, not mansions and pools; to buy football kits, not jewelry and cars; and to fund youth player and coach development, not to underwrite lavish lifestyles and sports marketing executives,” Infantino said. Infantino is a former lawyer, who once election three weeks ago thanks to strong support from voters in both North and South America. He prizes himself on finances and said matter of factly during his bid for president, “It’s your money.” That resonated with voters both in CONMEBOL and CONCACAF who currently have over $20 million in funds frozen by FIFA.